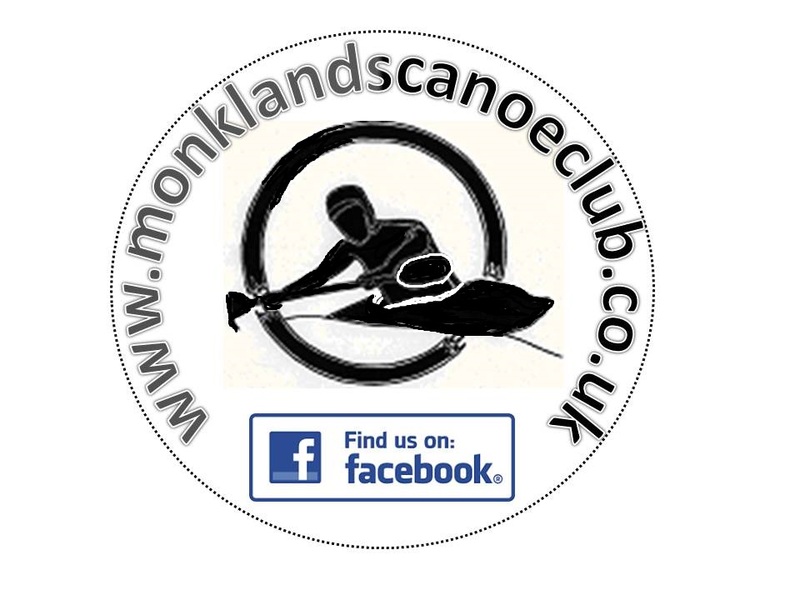 Monklands Canoe Club consists of members mostly from around Glasgow and Lanarkshire areas, although we are lucky enough to have members from as far west as Paisley, Carluke and Galashields. Everyone associated with the Club is a volunteer and all the costs of the Club are met by the members (though we are occasionally successful in getting grants). 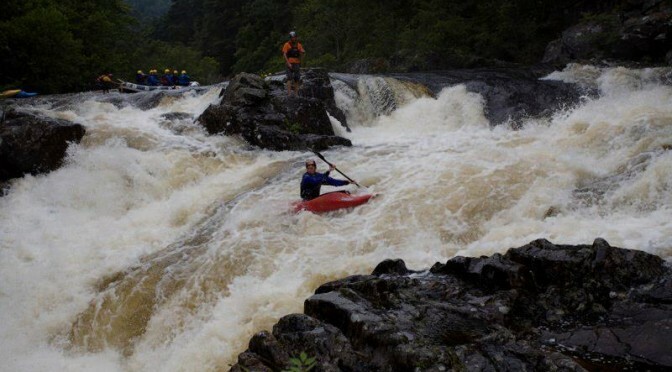 We are affiliated to the Scottish Canoe Association, the National Governing Body for paddlesports in Scotland, and meet their requirements for affiliated clubs. Our club affiliation number is 1101. Our principal activity is paddling rivers in kayaks and open canoes. We organise river trips usually a few times a month. We make sure that our trips cater for all members in the club, including those who are beginners, experts and those with families. The trips may be specific training trips, or just social trips to give everyone a chance to enjoy the water and company. During the summer we are mainly based at the Pinkston Watersports Facility, where we meet every Wednesday. 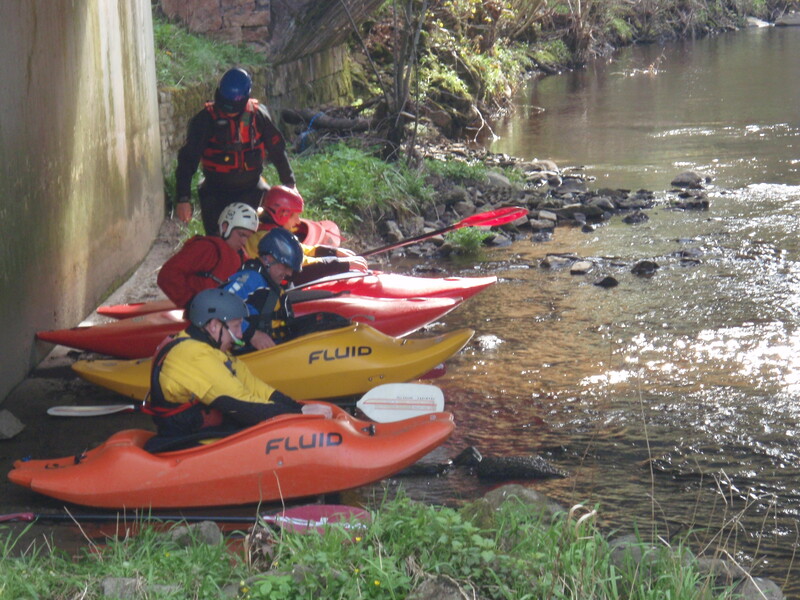 Here we offer training for our trips, and build up confidence within our members. During the winter our training sessions are moved to the Time Capsule in Coatbridge. We use the BCU Star Award scheme as the basis of our coaching. We can coach in house up to and including BCU 3-star White Water, 3-star Sea, and 3-star Canadian. The Club has most of the equipment you will need: kayaks, Canadian canoes, paddles, buoyancy aids, spraydecks, and helmets. If you would like to join us please follow this link to find out how. 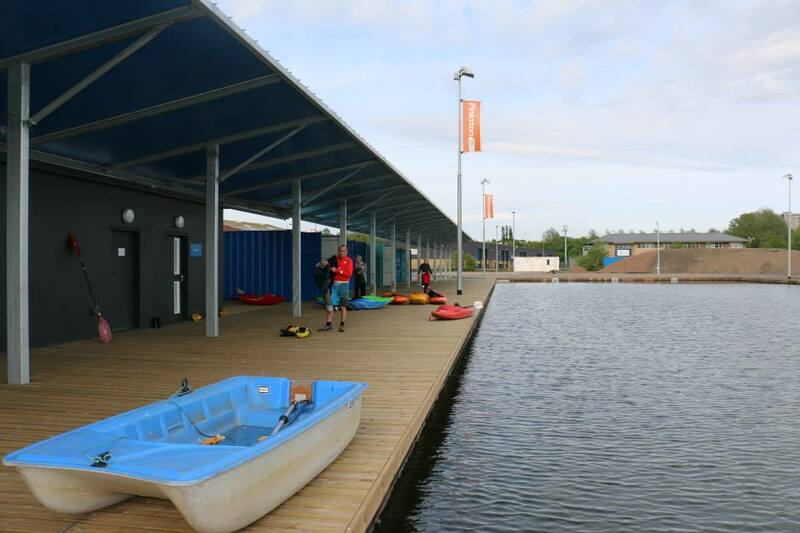 The club is not only made up of beginners and we have a large number of intermediate to advance paddlers that make use of our park and play sessions at Pinkston as well as being a great hub to meet new people. 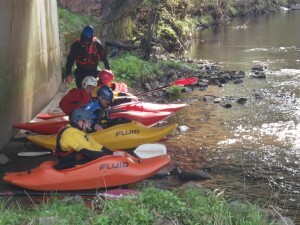 Although the club concentrates mainly on beginners trips (Grade 1 to easy 3) and adhoc intermediate trips (Grade 3 and 4) there is a group of regular paddlers that run intermediate to advance rivers (grade 3 to grade 5). These are not organised trips but mainly groups that have came together from being members of the club.